A recent article published by the Spanish daily El Mundo explains how Real Estate Investment Trusts, known as SOCIMIs in Spain, are playing a leading role in putting Spanish property back on the map for big investors, and reactivating the real estate market. It’s a bit technical, but interesting for institutional investors. Adaptation and translation of an article published by El MUNDO. These REITs, whose main purpose is investing in buy-to-let property, have become one of the big players on the new Spanish property market stage, where some people talk of stabilisation, and others of timid recovery. Evidence of this is that of the €2,900 million invested in the Spanish property sector to April, 23 per cent went to REITs, according to data from CBRE, a consultancy. Furthermore, after their regulatory structure was made more flexible at the end 2012, heavy weights from the investment world such as George Soros (Hispania) have come knocking. Spanish REITS are now leading the Spanish real estate sector to the European stage, joining the European Public Real Estate Association (EPRA), a non-profit organisation whose members share quality benchmarks to standardise financial information exchange, as well as corporate governance principles. EPRA offers a seal of quality and transparency worldwide, giving its members a platform for foreign investors. With the first signs of recovery showing through, some of the most important REITs listed in Spain are als on the EPRA/ NAREIT Europe Index, the equivalent of the Spanish IBEX stock exchange at European level, accessible only to EPRA members who fulfill certain volume and liquidity requirements. 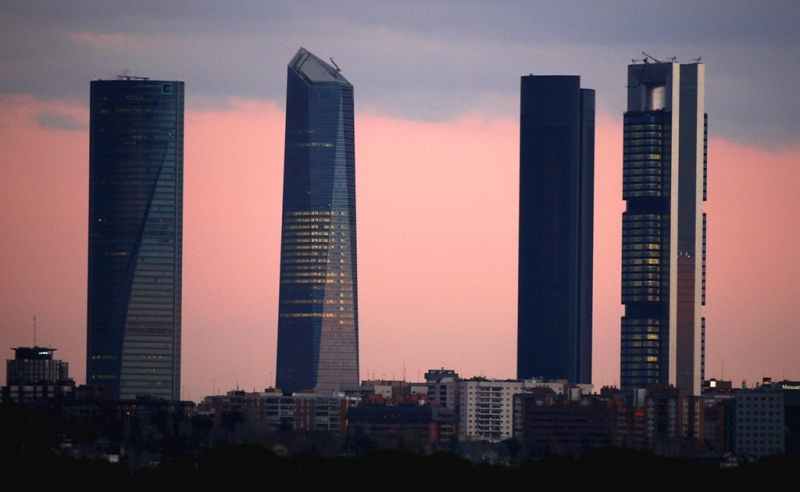 Four big Spanish REITs – Axiare, Merlin Properties, Hispania and Lar España – are already members of EPRA. Merlin has also been part of the share price index since July 2014, and Hispania has plans to join it during the first six months of 2015. Lar España expects to form part of this select group in the future. Being part of the EPRA and its share price index is hugely important to these REITS. The Director of Merlin Properties, Fernando Ramírez was quoted by Europa press as saying that “when you bring financial information and your surname is EPRA, the whole of Europe understands,” which leads to access to “a much wider shareholder base”. “To include you in their investment portfolio, many investors require you to be part of EPRA,” Ramírez adds. This is the case in the Netherlands where investors practically only invest in companies who follow EPRA practices. For his part, the Director of Lar España, Jon Armentia, believes that for a company, the main advantage of being part of EPRA is the visibility it brings among foreign investors. As Armentia recalls, until recently only companies like Colonial or Testa were familiar with this organisation. In fact, his entry into EPRA at the beginning of this year had to be through a foreign advisor with expertise in EPRA. Armentia has also noticed that at the core of this organisation Spanish REITs are seen “ as a sign of confidence in the Spanish property sector” and that “things are going in the right direction”. Regarding this positive relationship between Spanish REITs and EPRA, it could be said that it was the organization who took the first step. Although it’s true that the REITs have found their own feet in the investment scenario on their own merit. A recent report from Tinsa shows that 41 per cent of investors expect them to be the most important players during 2015, continuing the trend started in 2014 and taking over from opportunist funds that are actually starting to invest through other means, like REITs. It’s true that EPRA has never been short of praise for Real Estate Investment Trusts (REITs) and it even lobbied the current Spanish government to change taxation rules for these vehicles to make them more attractive in Spain. In 2009, EPRA criticised the initial tax regime for REITs passed by the previous Socialist government because it considered that the chosen structure was not in line with that in other countries. “If Spain wants to be successful in the fiercely competitive market and attract international capital to the property sector, the government must understand how other countries have achieved this objective through a dynamic and efficient structure for REITs,” said the Managing Director of EPRA, Phillip Charls, in May 2012. At the end of 2012, Mariano Rajoy’s Government made the REITs’ regulations more flexible and improved their fiscal regime. These companies are now no longer liable for company tax, whereas before they were taxed at 19 per cent. The requirement of minimum initial capital has dropped from 15 to 5 per cent; they are permitted to place shares in the alternative stock market (MAB); and the minimum limits for capital in circulation, shareholders and diversification have disappeared. After these changes, the EPRA analyst Tim Kesseler pointed out in a recent paper on Spanish REITs that they are now transparent and secure, a long way from the lack of professionalism that ruined the reputation of Spanish real estate during the first years of the crisis. It’s no wonder that they’re also expected to play a more active role in the organisation in the future.